As an artist, my work includes sculpture, performance, and installation. I temporarily transform places through actions that create a confounding spectacle in order to question routine patterns and social norms. Designed to invite audience participation, I want my objects and projects to challenge users to engage in a civic dialogue about individual, community, and place. Outdoor projects are situated in urban and rural landscapes in order to question human relationships with the natural world. I am particularly interested in exploring transitional post-industrial spaces where growth and decay are happening simultaneously. My recent work explores the impact that extractive industries such as mining, oil and gas have on the ecosystems and watersheds of Appalachian landscapes. 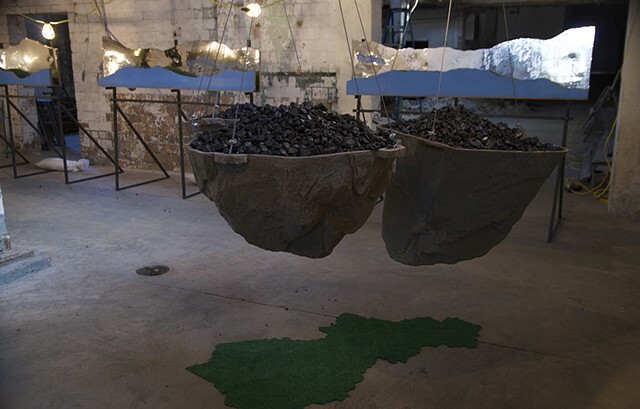 Coal mining and mountaintop removal are especially compelling subjects for my sculptures and installations.